President Donald Trump warned North Korean President Kim Jong Un yesterday that his continuing threats "will be met with fire and fury like the world has never seen." Today Secretary of Defense James Mattis is also weighing in, warning North Korea that their actions will be met with consequences and that they should wisely choose how to proceed. "The United States and our allies have the demonstrated capabilities and unquestionable commitment to defend ourselves from an attack. Kim Jong Un should take heed of the United Nations Security Council’s unified voice, and statements from governments the world over, who agree the DPRK poses a threat to global security and stability. 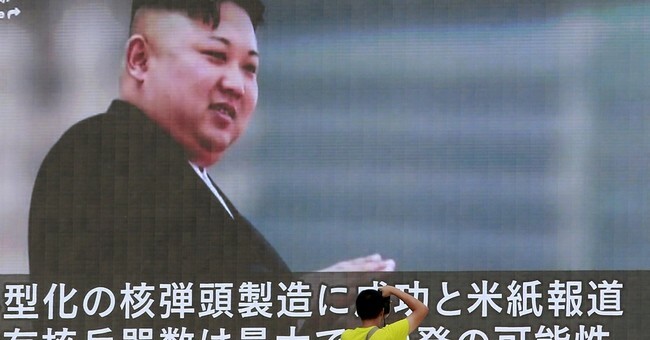 The DPRK must choose to stop isolating itself and stand down its pursuit of nuclear weapons. The DPRK should cease any consideration of actions that would lead to the end of its regime and the destruction of its people," Mattis said. "President Trump was informed of the growing threat last December and on taking office his first orders to me emphasized the readiness of our ballistic missile defense and nuclear deterrent forces. While our State Department is making every effort to resolve this global threat through diplomatic means, it must be noted that the combined allied militaries now possess the most precise, rehearsed and robust defensive and offensive capabilities on Earth. The DPRK regime’s actions will continue to be grossly overmatched by ours and would lose any arms race or conflict it initiates," he continued. Meanwhile, Secretary of State Rex Tillerson is traveling through Asia this week and stopped in Guam for fuel this morning.